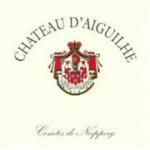 Château d'Aiguilhe produces the Château d'Aiguilhe 2016 (£24.38), a red wine from Castillon-Côtes-de-Bordeaux that is made of 2016 grapes. 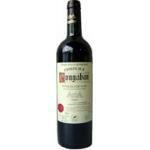 Uvinum users rate this red wine with 4 out of 5 points while wine experts grade it as follows: robert parker: 90-92. Red ruby colour with reddish brown edges. Tea aromas. Softer than 2016. 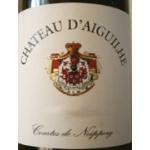 The Château d'Aiguilhe even grades up pairing it with a delicious Iberian ham. I had it alone. I drank this 2015 with my co-workers. It has a dark red colour. On the nose, red fruit and green pepper. Nice, dense and warm in the mouth. Deep colour at first sight. Peculiar aromas of raspberry. It is voluptuos, with body. You can notice nuts in the nose. Quite rough on the palate. My global opinion is that this is a good wine. It can be found in some gourmet shops. A Castillon-Côtes-de-Bordeaux with brown edges. Aromas of oak. Very light. Red ruby colour with reddish brown tinges. 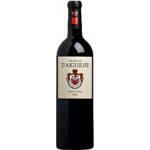 If you are a fan of red fruit compote, then this wine is perfect for you. The flavour of this makes me happy. 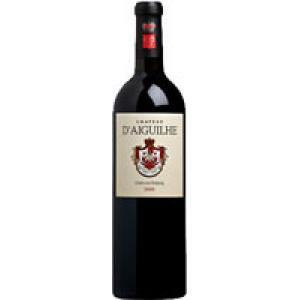 If you want to buy Château d'Aiguilhe 2016, at Uvinum you will find the best prices for Castillon-Côtes-de-Bordeaux red wine. Buy it at Uvinum, via your computer or your mobile device. We're the only site in Europe with more than 59.000 products for sale which turns us into the leading marketplace in selling wine, beer, and spirits in Europe thanks to more than 38.000 customers enjoying Uvinum.